This freestanding, detached, single family home has no one attached on either side & has a preferred corner lot location w/in The Villages. This community has it's own pool and is only minutes from Peter+GGs Canyon nature trails, Irvine Park, & 2 miles to The Ranch Market Town Center in Orange Park Acres! 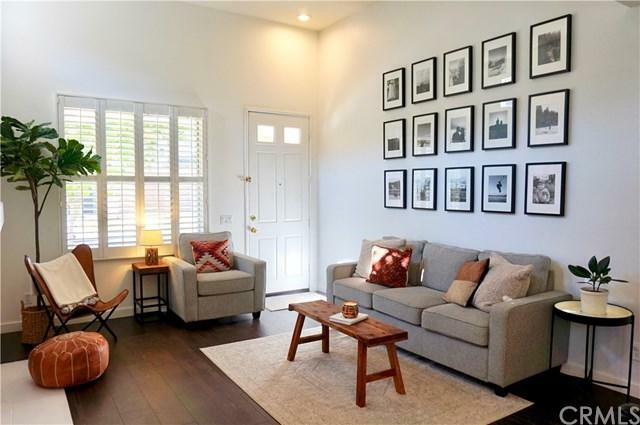 Greeted by a front porch, a friendly fireplace in the family room, custom white shutters throughout and a built-in entertainment area, this home speaks many languages of welcome w/it's light and bright interior. Some of the upgrades you+GGll notice are a completely remodeled downstairs w/stunning dark wood laminate flooring, re-modeled powder room, brand new commercial-grade custom kitchen cabinetry, white quartz counters, subway tile backsplash and feature wall, center cook island & coffee bar. Upgrades to the home include new stainless-steel appliances that stay w/the property, along w/new recessed lighting and a complete re-pipe of the entire home's plumbing system. Entertain outdoors and enjoy relaxing on your new Trex Deck patio under large Eucalyptus trees and bistro lights. Upstairs, convenient laundry area has washer & gas dryer included! The master has a dual vanity & large walk-in closet. Custom built-in closets are in both guest rooms for easy organizing. One of the bedrooms has a darling built in loft bed w/custom bookshelves as well! 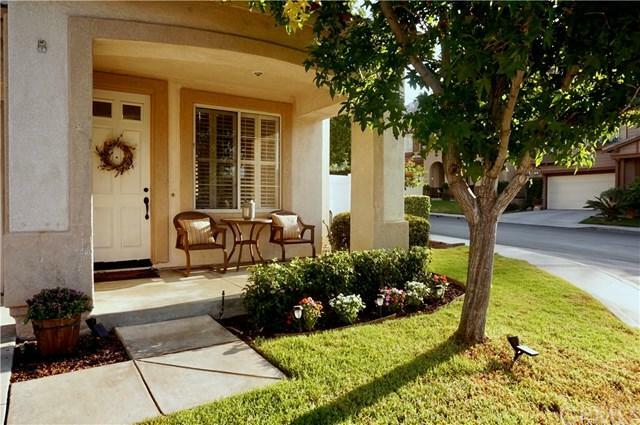 Surrounded by great schools, w/the highly sought-after Linda Vista Elementary just down the street! Located between 55/91/5/241 FWYS. Sold by Reza Shirangi of Keller Williams Realty. Inclusions All Appliances Washer Dryer Outdoor Fountain And Kitchen Rolling Coffee Bar. 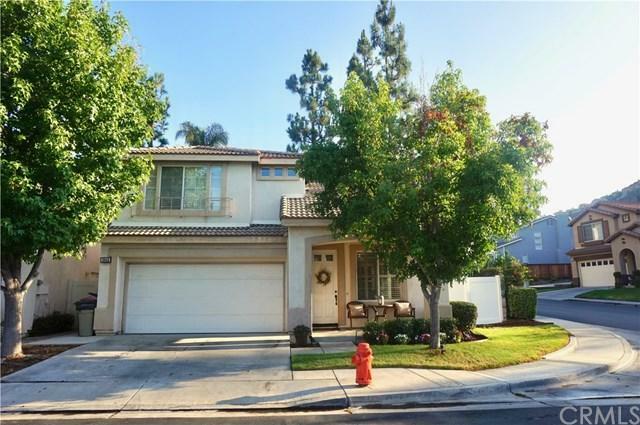 Listing provided courtesy of Ami Kreutziger of Oc Realty Corp.